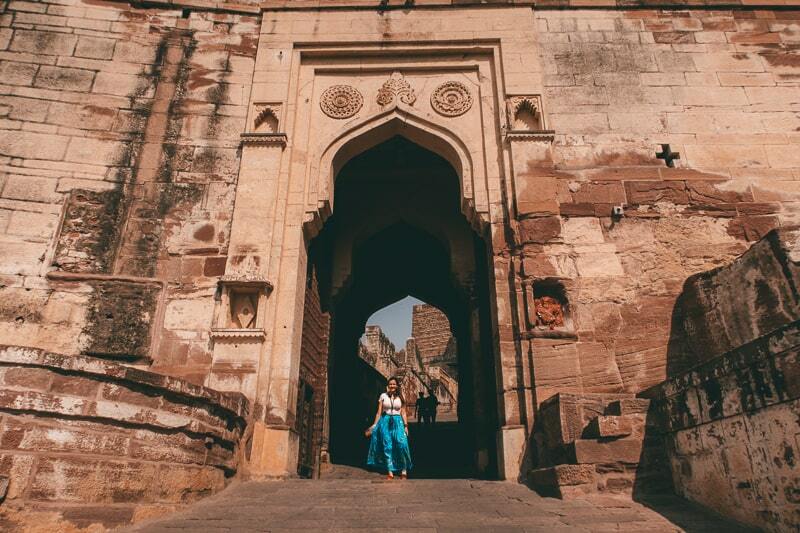 Visiting Jodhpur as part of your India itinerary? Then check out this guide on the top places to visit in Jodhpur in two days, including day trips! 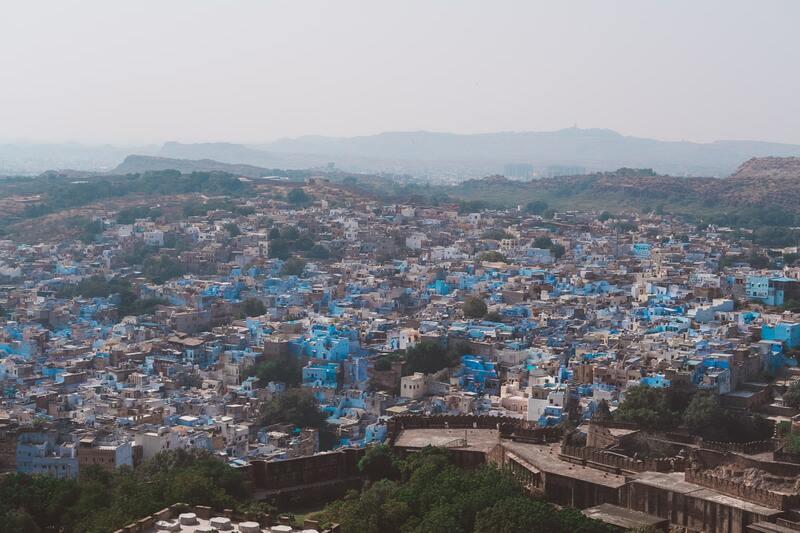 Bradley and I visited the historic area of Jodhpur in October and I was most excited about the prospect of this being a “blue” city. You’ll see why soon. But since we spent 2 days in Jodhpur, I thought it was appropriate to create a list of great places to visit in Jodhpur in two days. 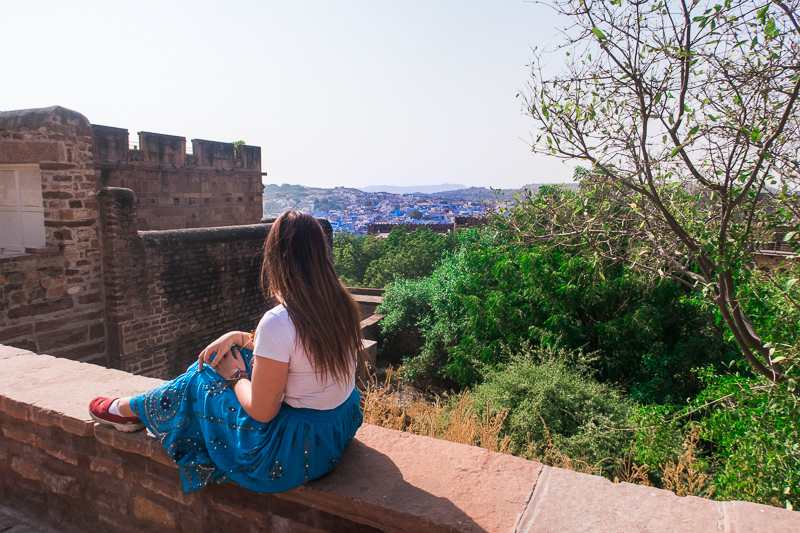 I’ve also included some information on when the best time to visit Jodhpur is, how to get there and where to stay and more. This means you’ll have everything you need to know for a fantastic two days in Jodhpur with my mini Jodhpur travel guide. When is the best time to visit Jodhpur? The best time to visit Jodhpur is between October and March. The weather is bearable (still very warm) and it tends to be the tourist season in India with more frequent buses and flights etc. We visited in October and I thought I was a perfect time. How do you get to Jodhpur? There are a variety of ways to get to Jodhpur, depending on where you are coming from. ‍Flying: you can get to Jodhpur via flights from Delhi and Mumbai. If you try to fly from any other airport then it will just include a connection in either of these cities. Flights range from £25-50 depending on the time of year, availability and when you book. We always use Skyscanner to check for flights. Train: India has an extensive train network and it’s convenient and well priced, but everything tends to book up quickly in the popular season so if you want 1st Class or 2/3rd class AC then you’ll need to book relatively quickly. Bus: There a multitude of buses running to Jodhpur from both directions (Udaipur/Jaipur). The bus is the option we opted for from Udaipur. Our bus costs 600 rupees (around £6) and that was for an airconditioned bus with Rain Travels. I have to say I was pretty impressed by the bus, it was clean, spacious and the aircon worked. 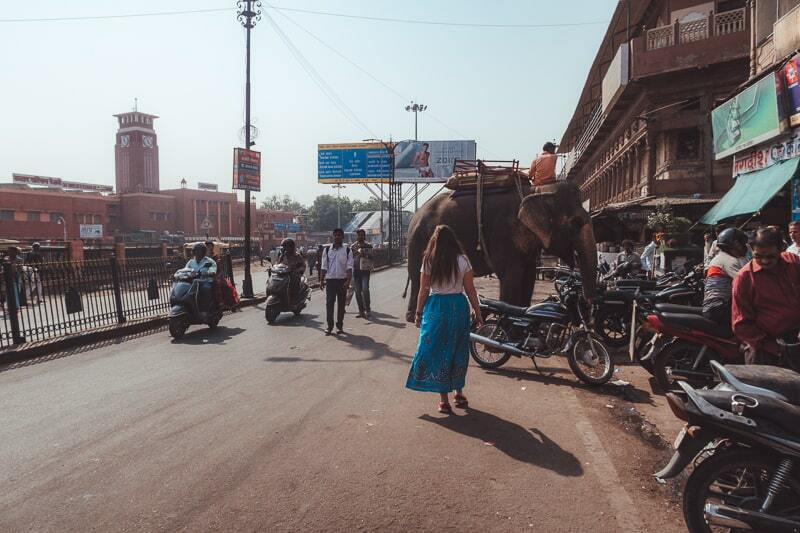 We did arrive an hour later than planned, but it’s India, and I would expect that everywhere you go. Where is the best place to stay in Jodhpur? Castle View Homestay! This where were Bradley and I stayed for our two nights in Jodhpur. It was beautiful. 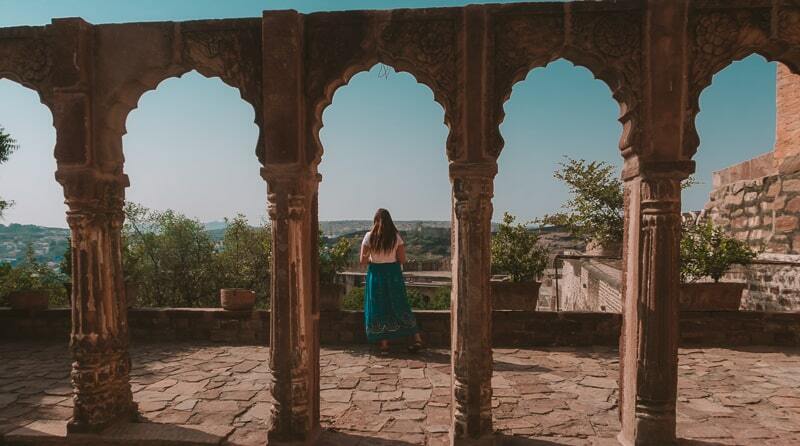 Not only was it decorated in beautiful traditional Indian decor, but the rooms were also clean, cozy and it offered STUNNING views of the fort. A rooftop restaurant is available and the views are worth the stay. The WiFi was also good, alongside aircon and friendly staff. Now is for the good part, a list of the best places to visit in Jodhpur in two days. 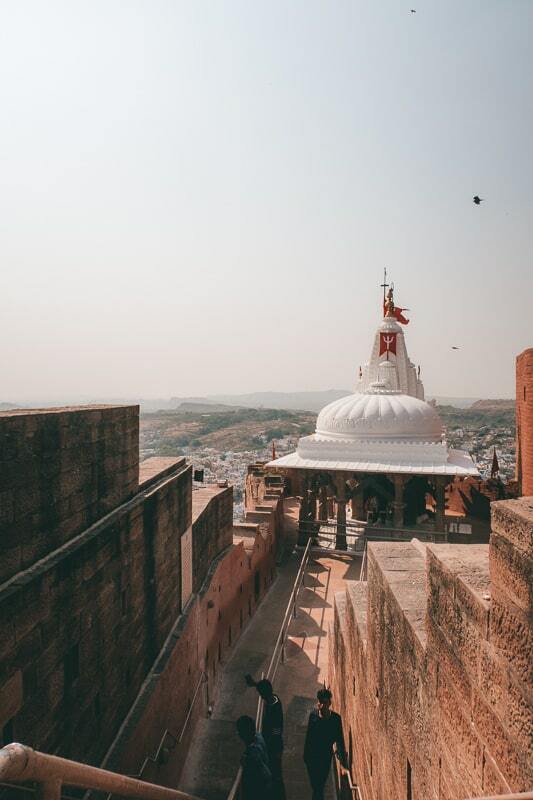 I am going to list this out in a form of the top things to do in Jodhpur, then at the end, I will break it down in what you should do on day one and day two. Okay, let's start with the absolute best of the places to visit in Jodhpur in two days. Mehrangarh Fort is an area bursting with beauty and history. This is one of the largest forts in all of India and it stands a beautiful 400 feet above the city overlooking the beautiful blue houses. The fort was constructed in 1459 AD by Rao Jodha. I’ll not go into too much of the history as your entrance includes an audio guide which will tell you everything you need to know. But, fun fact I just discovered whilst researching this blog: This is where the cave scenes of the Dark Knight Rises were filmed. This place offers amazing views, (which is the thing I was MOST interested in- I love a good view), and it looks beautiful lit up in the evening. There are cafes inside where you can catch a bite to eat or a drink, and there are even a few shops, but I am pretty sure you are paying above the odds because it’s in a tourist spot. 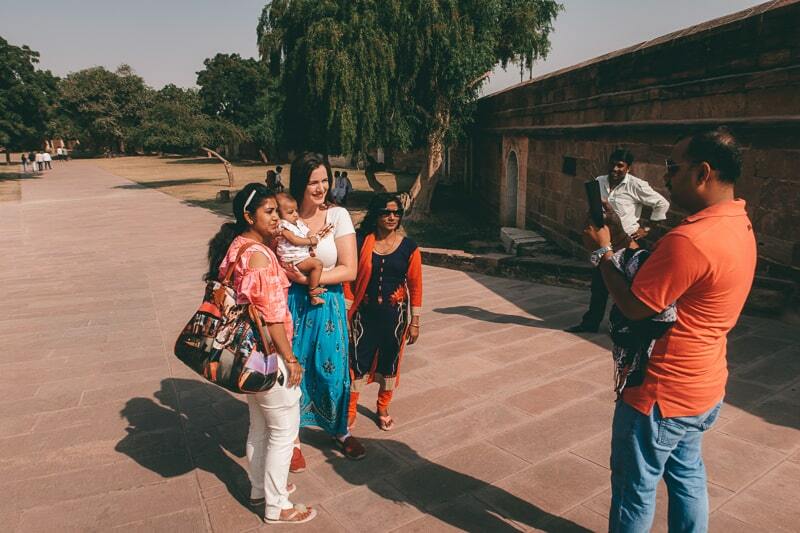 Ps if you are white as snow like me, then expect a lot of locals asking for selfies, and to hold their babies (I dunno why lol). Cost: 600 for adults (including audio guide) 100 camera fee and it’s open 9 to 5 each day. Students can get a discount. 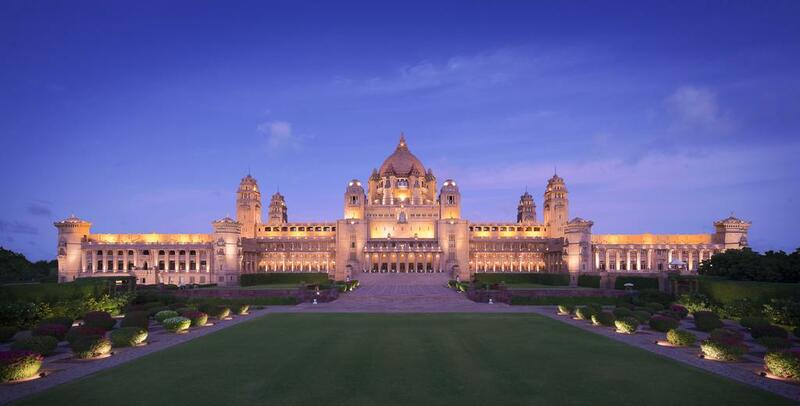 This is one of the worlds largest palaces and the fun fact...you can stay here if you want. But it’s not going to be cheap. This was actually the last royal palace built in India before independence. It’s the youngest palace of India and it’s truly an architectural splendour and a truly royal experience. It’s built on sprawling grounds of 26 acres, perched high above the Blue City of Rajasthan. It’s worth a visit even if you don’t have the pleasure of staying there. Not only that, there is a museum that’s open to all. It houses some marvelous specimens which include exhibits of porcelain wares, glass, memorabilia, and information on the building of the palace. The museum is open from 10 AM to 16:30 PM Monday to Sunday and it costs 30 per person for Indians, 100 per person for Foreigner tourists and 10 per person for Children (5-11 years). 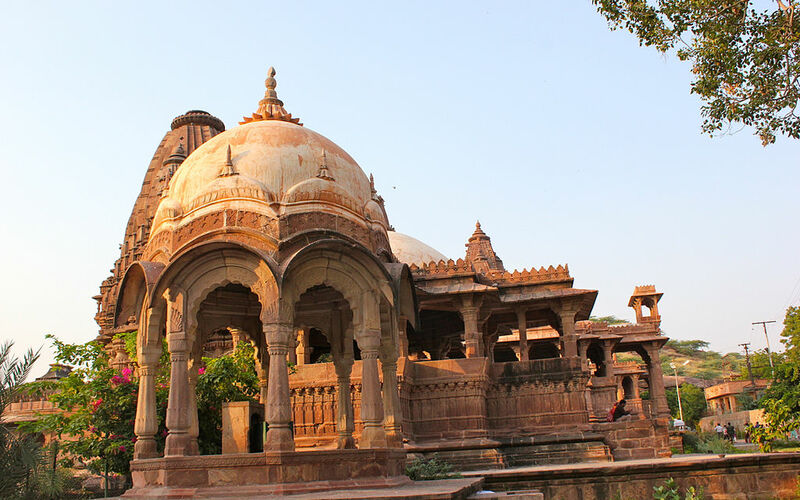 Mandore is actually the old capital of the Jodhpur kings which already makes it interesting. It was abandoned when the majarias of Jodhpur moved to Mehrangarh Fort. Nowadays it’s filled with luscious green gardens, cheeky monkeys, stunning architecture, beautiful birds and some street vendors. At first, it looks like a typical green garden, but start walking and you’ll feel like you’ve just stepped into Cambodia amongst Angkor Wat- minus all the crowds. There are some beautiful structures to be discovered with the intricate architecture still present outside and inside. Just wander and you’ll discover new things on each turn. There is also a museum within the complex that charges a small fee. The gardens are open every day from 8 am to 8 pm but the museum closes at 5 pm. 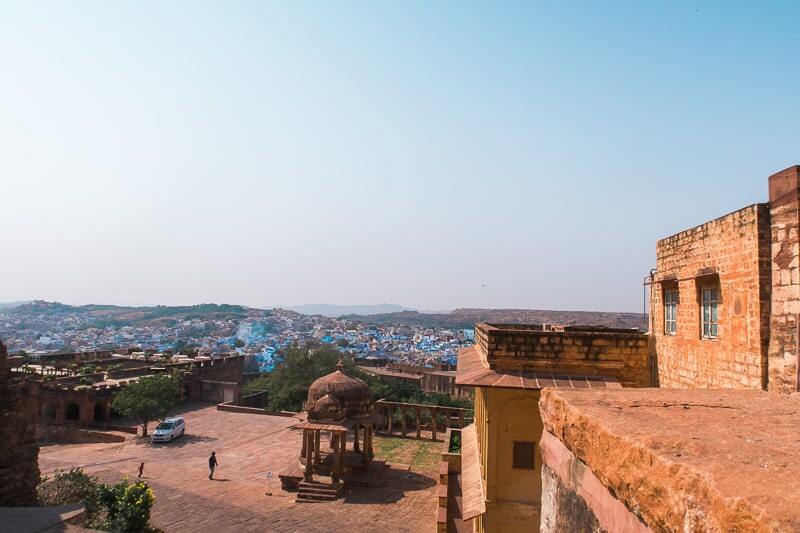 If you consider yourself a bit of a daredevil, then you’ll like this place to visit in Jodhpur. 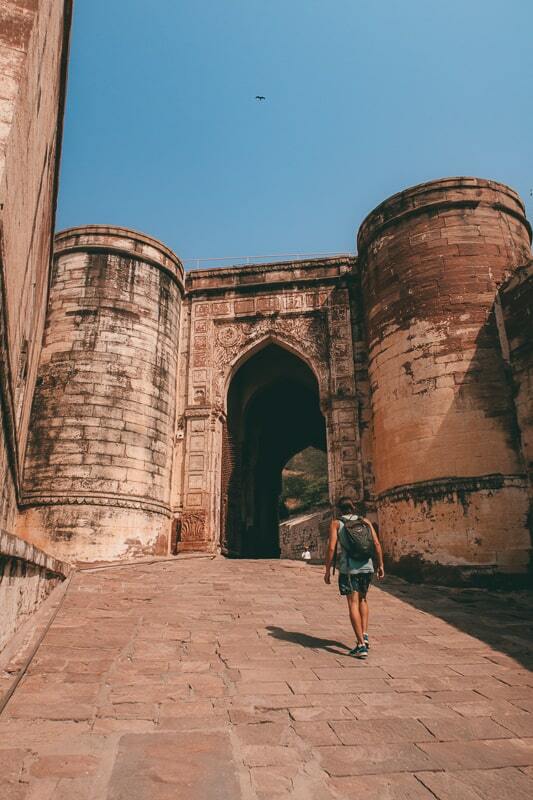 Bradley wasn’t aware that this was a thing to do in Jodhpur, and I am kind of glad he didn’t because I am pretty sure he would have jumped, and I almost died when he did the Mostar bridge jump, so Yano, my heart might not take anymore jumps haha. Anyway, the Jodhpur Stepwell is an urban jump. Apparently, it was constructed in 600 AD but it’s now the not so official swimming pool of Jodhpur. Basically you can jump from a high height, however, it’s not technically allowed, so when the police turn up, you leave. I don’t think you’ll actually get into trouble if you’re caught, more of a “don’t come back” sort of job. This isn’t my cup of tea, but if you like action, then why not jump! It doesn’t cost you anything either. The clock tower is one of the most popular landmarks in the old city of Jodhpur. Leading from the clock tower is the Sadar market which is perfect if you want to wander and pick up from Indian sweets, spices, textiles and much more. If you want to try some local delights such as the famous Lassi, then this is the best spot to do so. There is also a little cafe called Cafe Royal near the clock tower in which you can enjoy a cup of coffee whilst people watching through the hustle and bustle. I’ve included the TripAdvisor link for you to check it out. This is a BEAUTIFUL white marble memorial built in 1899 in memory of Maharaja Jaswant Singh II. It's a clear example of architectural brilliance and beauty in India. If you love architecture as much as I do, then this site should be at the top of the list of places to visit in Jodhpur in two days. Every city in India as a Taj Mahal sister and this white marble wonder of Rajasthan is often called the Taj Mahal of Marwar. The main memorial is built like a temple, featuring finely carved sculptures and lovely domes. Visitors can view beautiful portraits of the various rulers of Jodhpur. The cremation ground is surrounded by magnificently carved gazebos, a small lake, and an exquisite multi-tiered garden. The best time to visit is October to march (so that peak season we mentioned at the beginning) and it’s open 9-5 daily. You can get a tourist bus or taxi to the area, or you can rent out a moped. 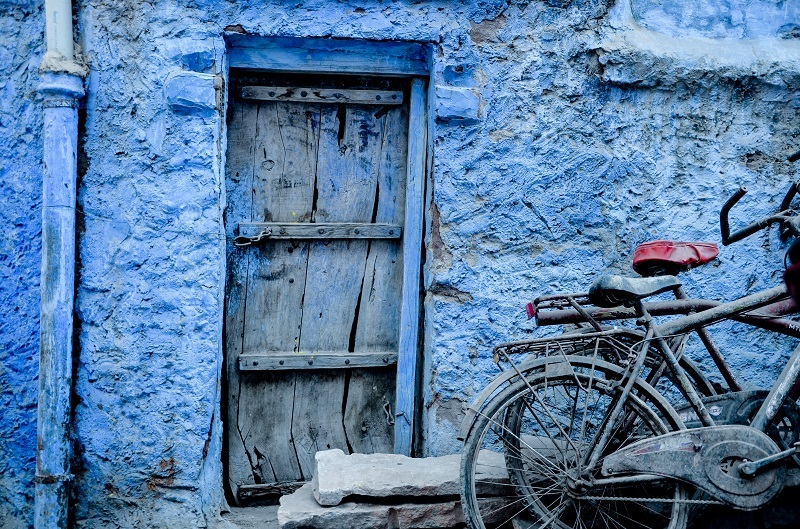 The blue city is famous because of its blue houses so you can’t visit them. 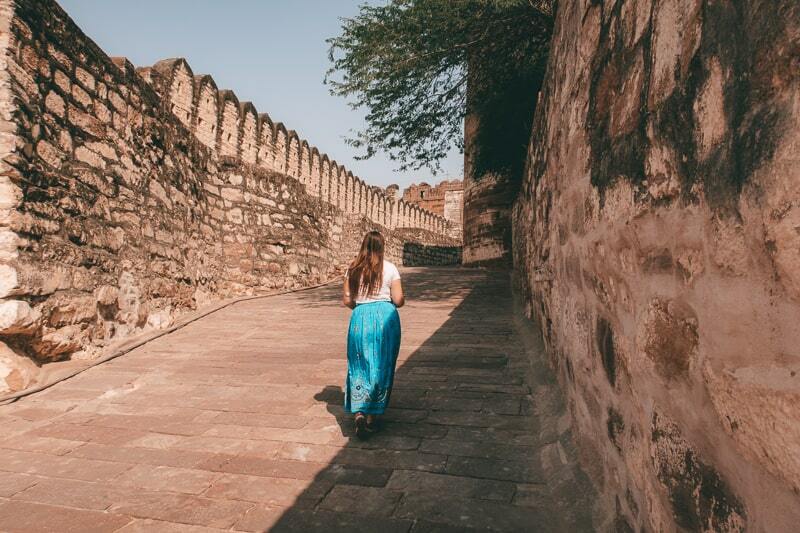 For those who stay “outside” the blue arena, you can easily get a tuk-tuk to the blue houses, or walk amongst them after you have visited the main fort attraction. If you are staying in a property that has a fort view, such as the Castle View Homestay we recommended, then you’ll be staying in a blue house anyway so it’s easy to get photos. If you are just visiting the blue city for a couple of hours, then I recommend dining in one of the restaurants that offer a rooftop view. It’s a glorious place to enjoy your food with that magnificent view. Speaking of dining with a view of the fort, the best time to do so is when it hits sunset. The view of the fort at night is spectacular. It’s lit up and it’s truly a fantastic sight. It’s the perfect romantic setting, or just laid back setting to enjoy a few drinks and a meal with friends. I really can’t recommend it enough. If you’re staying out of the blue city then head in for dinner- trust me on this! We never went here personally but I’ve included it on the list of places to visit in Jodhpur in two days because it looks awesome. According to my research, it’s a little difficult to find, but aren’t all great places difficult to find. Ask a tuk-tuk driver to take you, or if you have a moped, then drive until you see a temple in the distance from the fort. It offers unique panoramic views that you won’t get elsewhere, plus since it’s difficult to find and others don’t really know about it, you’ll have it all to yourself. This carries on from that fort you’ve just discovered. About a five-minute walk from Mehrangarh Fort is a small trail of stairs which lead to a temple and a collection of phone towers. You then continue onto the rocks and the walls of the fort which brings you a beautiful view. It’s a perfect sunset spot and you can watch people do ziplining (we speak about that on the next point). This is one of the great places to visit in Jodhpur at night. So, if you’re looking for a unique and I’d say, romantic spot to catch the sunset, then put this on your list of places to visit in Jodhpur in two days. Speaking of ziplining, you can partake in this AWESOME activity whilst seeing historic sights. The zip line is done with a company called flying fox, and they actually have zip line locations all over Asia and South East Asia, so if you’ve been traveling there before, you may have heard of them. Basically, they’re a high quality and safe company to zip line with. 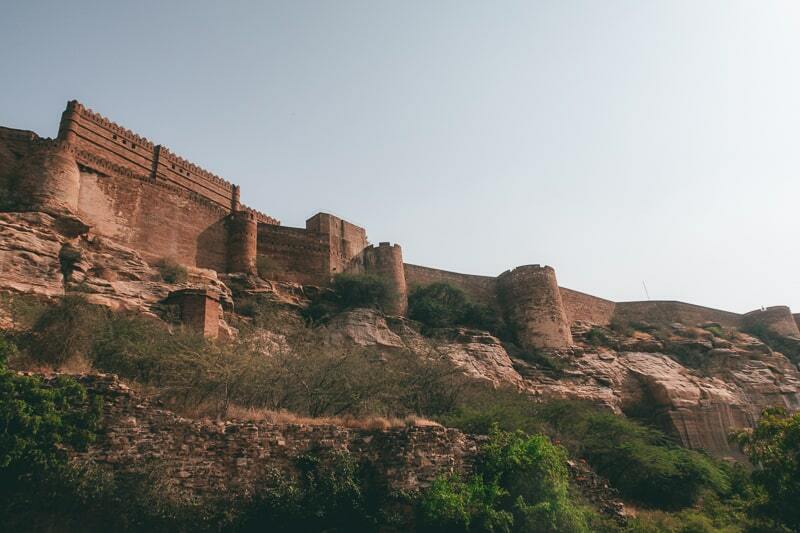 You’ll get to fly high over the battlements and crenellations of Rajasthan's most majestic fortress, the Mehrangarh Fort and two desert lakes, trek through the Rao Jodha eco-park and enjoy the best view of Mehrangarh and the Blue City of Jodhpur. A truly breathing taking experience. It costs 1800 for adults and 1600 for children and students if you book online. The website is here with all the information you need. It’s cheaper to book online, at the fort they charge a lot more money. So book online for the best deal. So sweet and just wanted to practice their english! If you want a peaceful lake view, then include this spot on your top places to visit in Jodhpur in two days. I’d actually visit after you’ve seen the fort and you’re exploring the blue city because it’s all very close by. 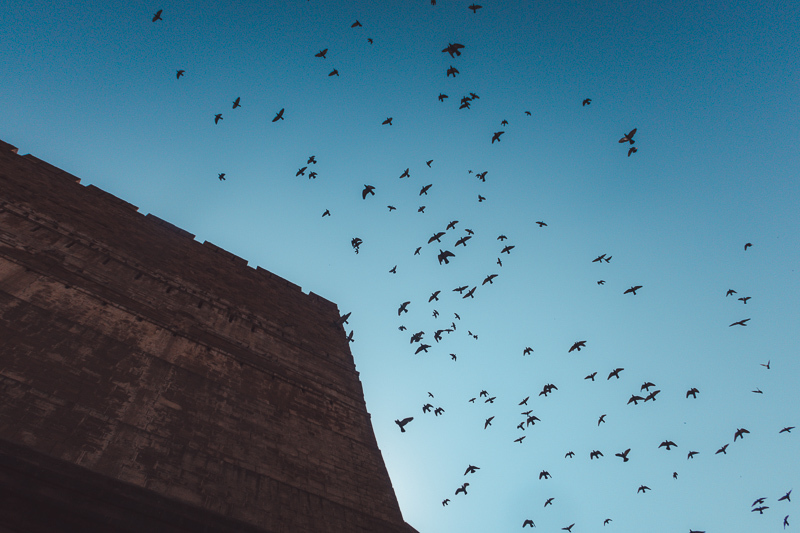 It's located 8 km to the west of Jodhpur on the Jaisalmer road and it’s a good picnic and sunset spot and it’s good for bird spotting if you’re interested in that. This is another beautiful lake to visit. This is a popular picnic spot that is surrounded by hills and gardens which you can walk around and visit. They’re filled with beautiful roses, and pools covered with lilies. Next to the lake stands the Balsammand Palace, an artistic eight-pillared palace with three entrance gates. Maharaja Sur Singh got the palace constructed in 1936, as a summer pavilion. Located just a mere 2 km from the lake is a quirky temple called Maha Mandir. 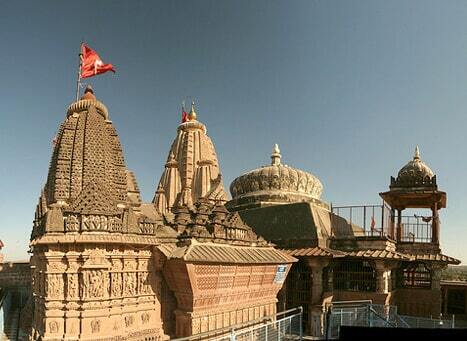 It’s a hundred pillared temple that is dedicated to Lord Shiva. A walled town is built around the temple. It’s a pretty cool spot. 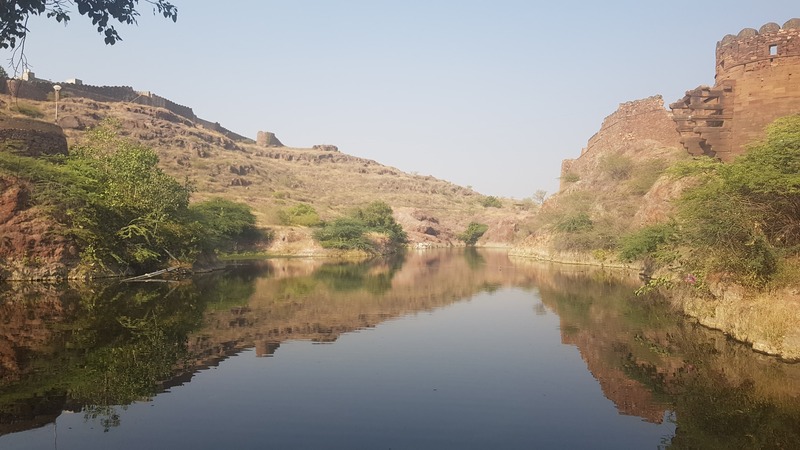 Rao Jodha Desert Rock Park was a project created in 2006 in an attempt to try and restore the natural ecology of a large, rocky wasteland next to Mehrangarh Fort in Jodhpur. The park itself is around 170 acres and you can enter the visitor's center. Of course, it offers beautiful views of the fort too. Throughout the year there are lots of beautiful and unique flowers that are common and pop up, so regardless of when you visit, there will be something different on offer. Since this is an all-year activity, it should alwaysbe on your list of places to visit in Jodhpur in two days. This temple is located on the south end of the fort, so it can be visited when you are exploring the fort. It’s a holy shrine that’s dedicated to Chamunda Devi. It’s beautiful whether you’re religiously inclined or not, and it offers a cool view over the surrounding city. If you’ve only got 2 days in Jodhpur then this should be included in your itinerary. If you want to get to know a city with a guide, then a city walk is the best way to do it. The blue city walking tour and experience will take you through a 3-hour walk to discover a city that was apparently “planned in the form of a human body, where every part of it resembles different organs of the body” (what!?). I recommend this for those who really want to immerse themselves in the history of Jodhpur and learn a little more. It’s also a good way to meet other travelers if you’re traveling solo, so pop it on your list of places to visit in Jodhpur in two days. There are advertisements for this tour on almost every hotel, or you can book online. The price is 1,900. If you are brave enough to rent a moped (only joking), you don’t need to be brave, it’s really not THAT bad driving in Jodhpur. Anyway, there is a moped rental place located near the clock tower to the center of the town called “Jodhpur new bikes and rental” and it costs 400 for a day, and an extra 50 for an extra helmet. They will say that “man wears a helmet, the woman doesn't need one”, but for god sake please wear a helmet. Basically get your moped and drive. Drive anywhere and everywhere. Look for unique points on google maps and you’ll probably find new temples or brilliant views. You can also use your moped to take day trips out of Jodhpur if you are staying for longer than 2 nights. We discuss some great day trips at the bottom of this post. If you arrive in Jodhpur via bus, then you’ll probably drive through the “high street” to get to your accommodation. The reason I call it a high street is that it’s literally a long strip of shops that include designer shops and market style shops. So if you do feel like doing some upmarket shopping then this is the place to do it. The whole area is quite modern and has a European vibe to it. If you fall in love with Jodhpur (it happens! ), then there are lots of places to visit near Jodhpur. Simply rent a moped and get out and explore around the country. Below we list some top places to visit near Jodhpur, perfect if you’re staying for 3 or 4 nights. 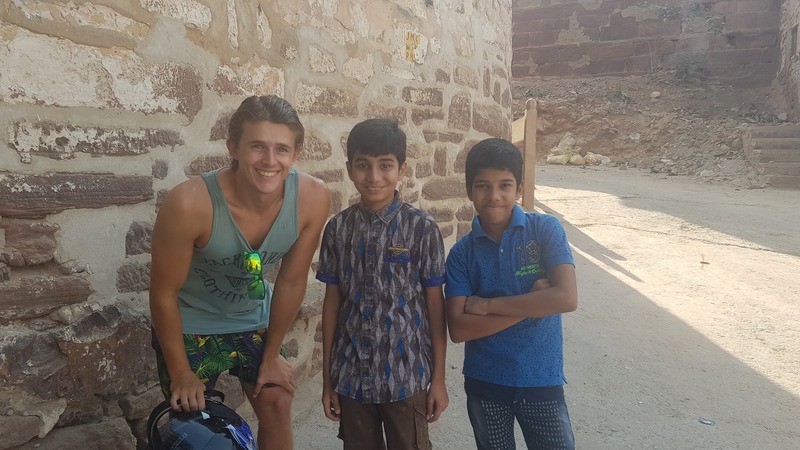 Bradley and I didn’t get the chance to visit these places as we were low on time, but I definitely recommend seeing as much as India as possible and having your own transport is the way to do it. Distance from Jodhpur: 68 km so around 1 hour and 30 minutes. This is one of the great places to visit near Jodhpur and you can use a moped to get there. An oasis in the Thar desert, this area is known for its temples. If you want to experience the desert in Rajasthan, then this is a good place to go. There are lots of great places to visit in the area including Osiyan temple. Distance from Jodhpur: 77 km so around 1 hour 30 minutes. Another great Jodhpur sightseeing spot and one that you’ll need a moped or some form of transportation to visit. This city may be quaint, but it's home to lots of wonderful temples, so temple lovers will be happy. Gardens and stepwells are also available and it's probably most famous for Om Banna shrine. A visit here is believed to make your journey safe. So a nice place to visit in your Rajisitan adventures. If you are using a Revolut card (the best travel card and exchange rate on the market, so why wouldn't you be!?) Anyway, the only bank we found in India that lets you withdraw money for FREE is the Bank of Baroda, and there are at least two of these in the town center (near the clock tower). Walk: lots of places are within walking distance, but make sure you’ve got some good shoes on! So there you have it, my guide on the top place to visit in Jodhpur in two days. 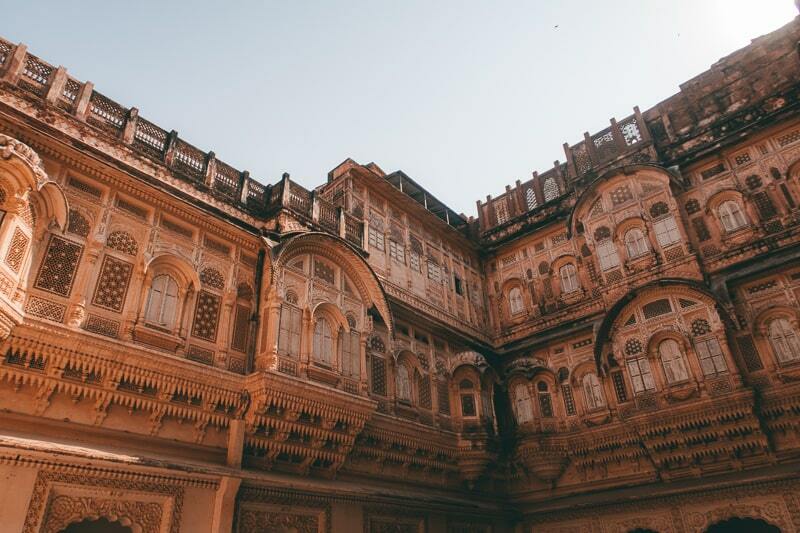 As you can see, which you scratch the surface, there truly is lots to do in Jodhpur and creating a Jodhpur itinerary can seem a bit of a challenge. But follow my two-day suggestions and you’ll have covered the majority of the brilliant places to see in Jodhpur.